I will be attending a Beltane Festival tonight and usually I would take something yellow or Springy, maybe a salad with lots of color or a lemon something-or-other. This year it is cold! Not just a little cold, REALLY COLD. Like 45 degrees cold. 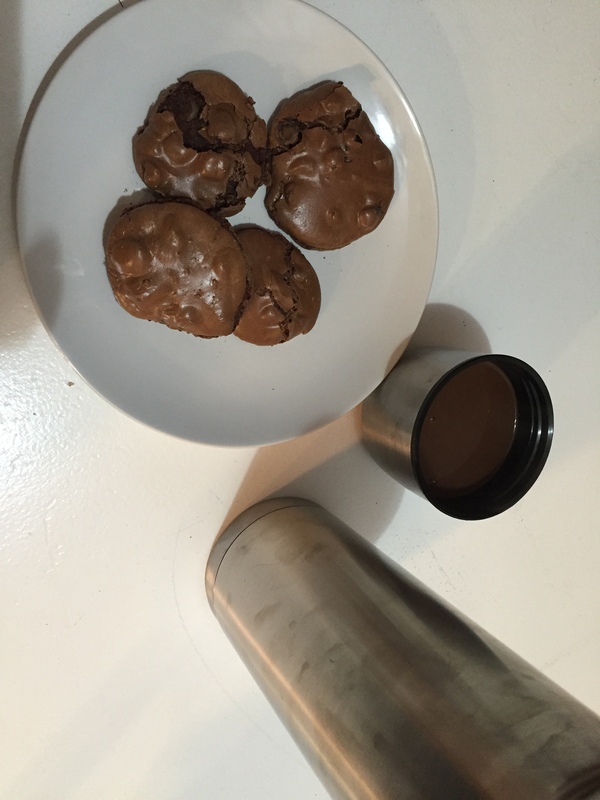 So this year I am making the ever popular Chocolate Meringue Cookies and Hot Chocolate. Yes dark and dense overly sweet, but all I can think of in this cold is comfort food. If I have not told you, I use to be a Chemist, an Analytical Chemist. So measuring was always important. I feel like I am often rebelling against my past when making Hot Chocolate. I really like just throwing some things in a pot and heating it up. The problem is, my kids want me to repeat the recipe. “I put what was left in all the milk containers in with chocolate chips and coconut cream.” Not very reproducible. Really that is my recipe, what ever milk we have, Trader Joes Semi-Sweeet Chocolate Chips, and Trader Joes Coconut Cream. Sometimes I will add Vanilla or Cinnamon. The portions are always determined by my mood. The best part of Hot Chocolate is what you put on top. I like Jet Puff Mallow Bits. These are the dried marshmallows you find in hot chocolate packs. You can find them at Walmart and some other grocery stores. I also like using Marshmallow Fluff as a topping. Blessed Beltane, and Happy Spring.